Rubber sole with signature web rubber strap. 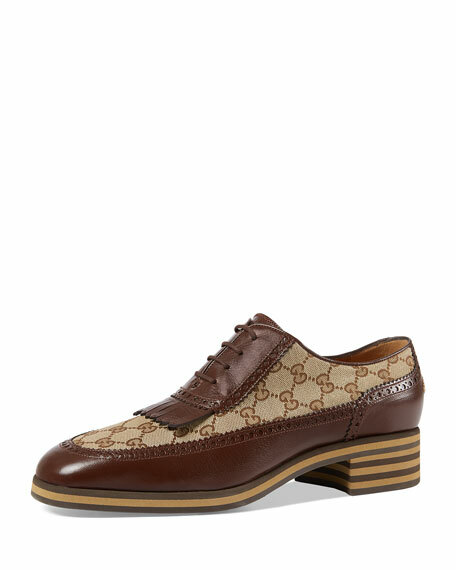 Gucci logo embossed on rubber sole; 1.3"H.
Gucci brogue shoe in leather and original GG canvas. 30mm heel height. Lace-up front; fringe detail. 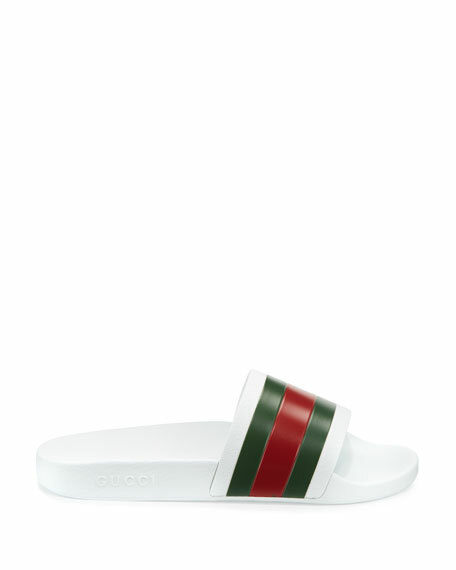 Striped rubber sole. "Thomson" is made in Italy. 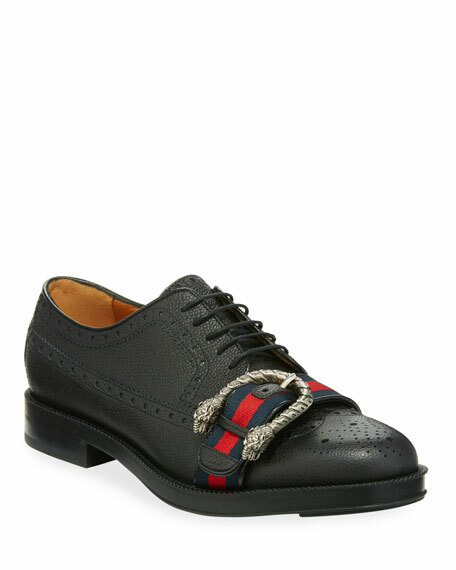 Gucci dress shoe in textured leather with brogue detailing. 0.6" stacked heel. Web grosgrain strap with Dionysus buckle. Lace-up closure. Rubber sole. "Beyond" is made in Italy. 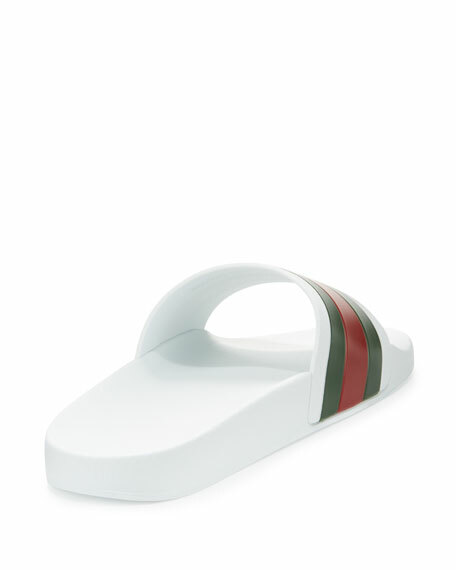 Gucci sandal in leather, mesh, and reflective fabric. 2" chunky rubber sole. 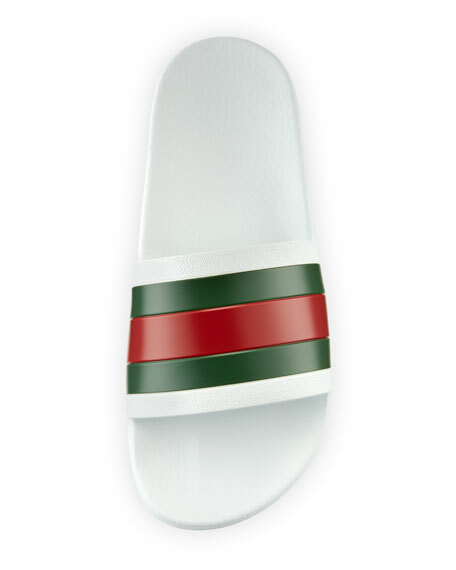 Rubber Gucci patch in SEGA font, used with permission of SEGA Holdings Co. Ltd. Adjustable grip straps. Made in Italy. 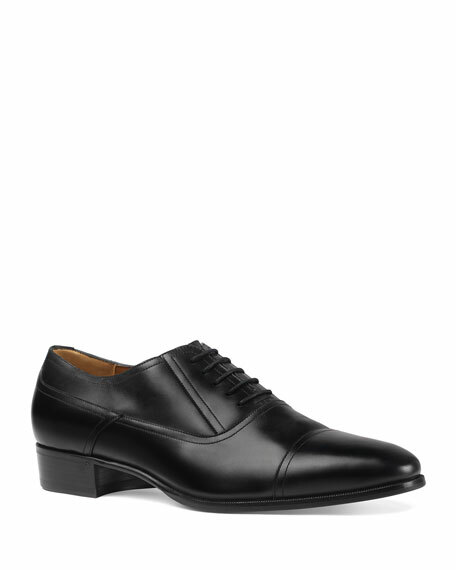 Gucci leather lace-up shoe. Spiked "Gucci" detail at the heel. 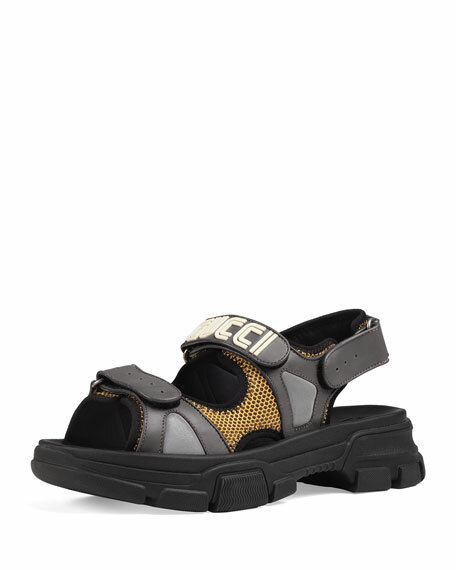 Leather sole with bee motif. Point toe. Lace-up closure. 1" height. Made in Italy.